This Bridges Out of Poverty training workshop empowers our community to move individuals from poverty to self-sufficiency; reduce social costs related to crime, poor health, and welfare; strengthen educational attainment and job skills; enhance economic development; improve on-the-job productivity; revitalize neighborhoods; and build sustainable communities where everyone can live well. Cost includes a light breakfast and lunch. 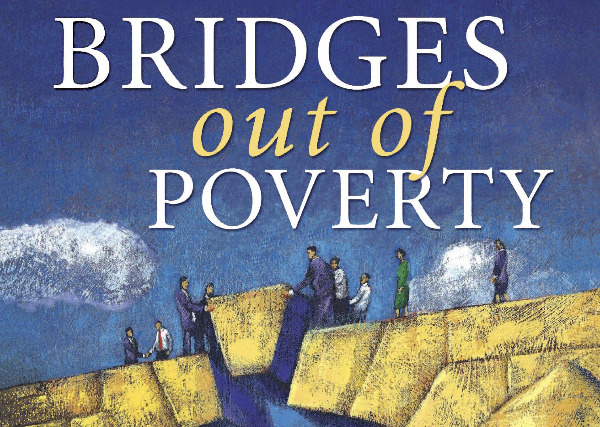 The Bridges Out of Poverty book may be pre-ordered here and will also be available at the training. Make plans now to be part of this vital discussion.